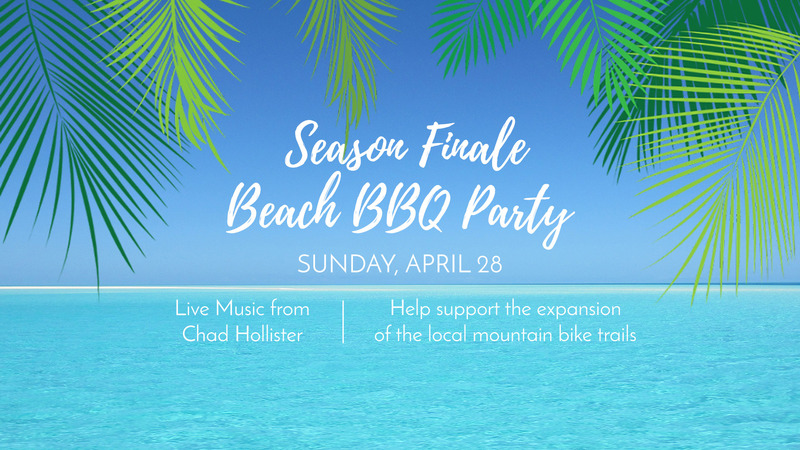 Join us for our Season Finale Beach BBQ Party on April 28! Come for live music from Chad Hollister and stay for Open Mic! $10 donation will include our bbq feast and all proceeds will be donated to the Killington Mountain Bike Club to support the expansion of the Killington mountain bike trails.